I was recently asked to set up Transactional Replication comprising of 29 publishers as well as same number of subscribers. One interesting challenge was that the size of the distribution database suddenly increased from few MB’s to around 62 GB and as a result the disk on which the production database was hosted quickly filled up. The DML operations on the tables on the replicated database was continuous. After investigating this, I noticed there was a table named MSRepl_Commands present in the distribution database consisting of a large number of records which was the major culprit for the drastic increase in size. 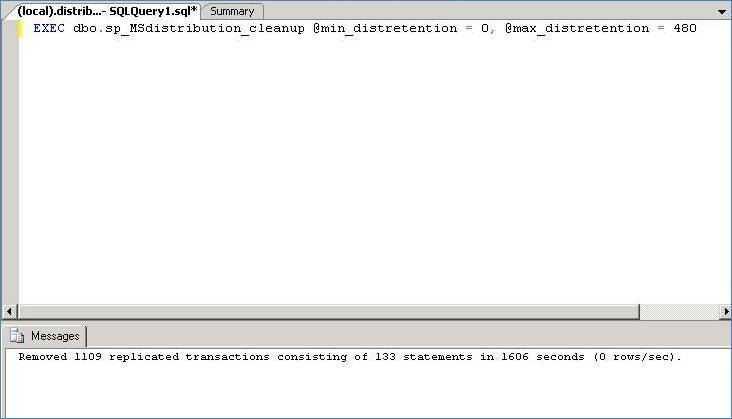 Going deeper, I also found that a job named Distribution clean up: distribution was taking a considerably long time to execute (i.e. around 4 hrs and 35 minutes) which was very strange. These two jobs can be found by expanding the Jobs folder present under SQL Server Agent node in the SQL Server Management Studio. 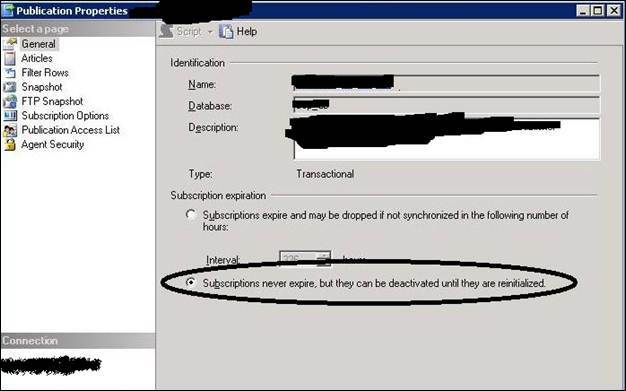 The job named Distribution clean up: distribution itself has one stored procedure named sp_MSdistribution_cleanup executing internally which had two parameters , namely @min_distretention and @max_distretention. I decided to manually execute this stored procedure against the distribution database by specifying the values of @min_distretention and @max_distretention using the syntax below. Before executing the stored procedure, I manually disabled both the above jobs otherwise there would be a possibility of some deadlock occurring. The main issue why the distribution database was getting larger and larger in size was that the clean up job was not removing the replicated commands from MSRepl_Commands table. This table was around 26 GB in size with around 6.5 million records in it. This was applicable to all the 29 publishers. I then checked the MSRepl_Commands table and found that the number of rows decreased from 6.45 million to 2.5 million. I then manually shrunk the mdf file of the database involved in replication by around 28 GB and the free space available on the disk grew to around 54 GB. I also changed the recovery model of the database to Simple to minimize the log file growth. The cleanup job now takes a few minutes to execute. After performing these tasks, to date there hasn’t been any issue with the size of the distribution database and the replication as a whole is working fine.